So great events were held over the weekend, including the Venice Marathon, one of the most unique marathons of them all. By all accounts it was a very tough affair, with torrid weather making conditions extremely difficult even for the most seasoned competitor. However over 6000 competitors finished the race, with Philemon Kisang and Emebt Bedada winning in style. Check out the photos and Full Report Here. Other races this weekend included the Conductive Education 10K, Race for Ovarian Cancer in Williamsport and the Loseley 4k and 10k. Be sure to get your race reports and photos in to be included in each weeks newsletter. 27th Venice Marathon | 28 October 2012: Venice, October 28, 2012 – Rain, wind and high tide didn’t stop the 27th Venicemarathon who saw winners the Kenyan Philemon Kipchumba Kisang (2h17’00”) and the Ethiopian Emebt Etea Bedada (2h38’11”). The Last Desert @ King George Island, Antarctica, 16th November 2012. The Last Desert (Antarctica) is a six-day, 250-kilometer footrace held in three or four locations on and around the Antarctic Peninsula. Each individual must carry a minimal amount of safety equipment. Assistance is provided throughout including water (plenty), shelter and medical assistance. It is part of the 4 Deserts, a unique worldwide endurance series. There is no other event series like it in the world. The Last Desert (Antarctica) is an invitation-only event, open only to those who have completed two of the 4 Deserts. Competitors may complete the Gobi March, Atacama Crossing and Sahara Race at any time to be qualified for The Last Desert. Go Here for More Information. This week we thought we would find you some awesome sports deals from the worlds biggest online retailer. We’ve found loads of deals on Amazon, both in the UK and USA. 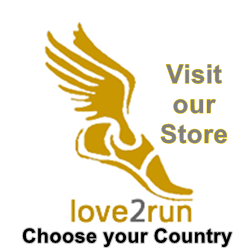 If you live in the US, check out the deals on sporting and outdoor equipment here. If you live in the UK, you can find up to 50% OFF this winters Exercise Deals Here.